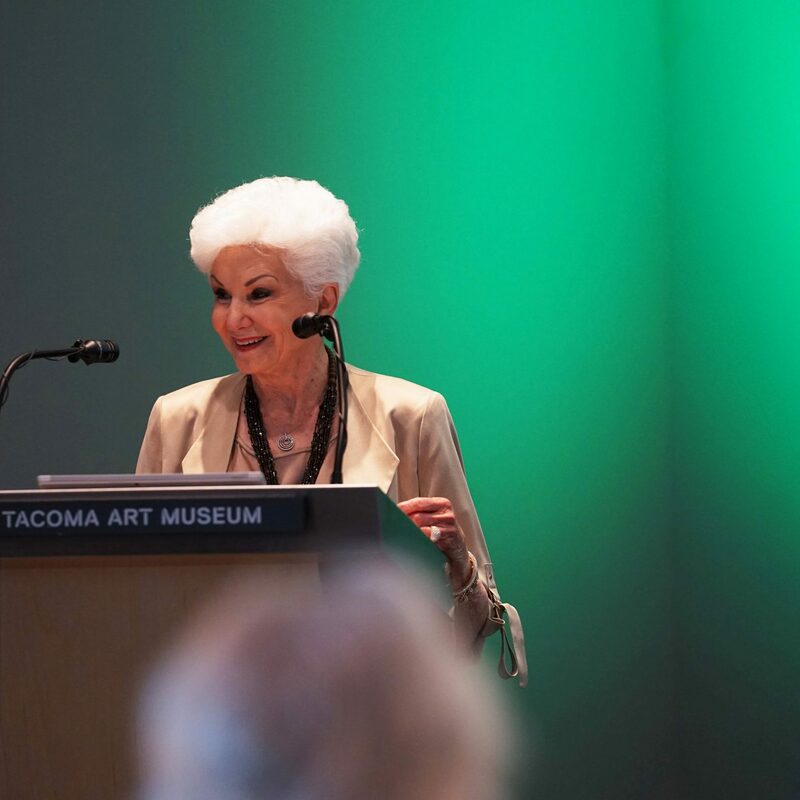 On July 11, the Tacoma Art Museum hosted a groundbreaking celebration for the Benaroya Wing, a new addition to the museum that is projected to open in fall 2018. At the celebration, attendees viewed the final design of the new addition and heard speakers including Marilyn Strickland, City of Tacoma Mayor; Rock Hushka, Deputy Director and Chief Curator of TAM; and Tom Kundig and Kirsten R. Murray, owners and principals at Olson Kundig. Rebecca Benaroya also hosted a special ceremony and cake cutting at the event. The new Olson Kundig-designed Benaroya Wing will house 5,700 square feet of gallery space in addition to 1,690 square feet for public facilities and support functions. The galleries will showcase the collection of Rebecca and Jack Benaroya, which the couple recently bequeathed to the museum. The Benaroya Collection encompasses 225 works and includes Northwestern and international studio art glass along with important paintings and sculptures by renowned regional artists. Olson Kundig also designed the Haub Family Galleries at TAM, which included a 16,000 square-foot addition and was completed in 2014. For more information, visit http://www.tacomaartmuseum.org/benaroyacollection/.